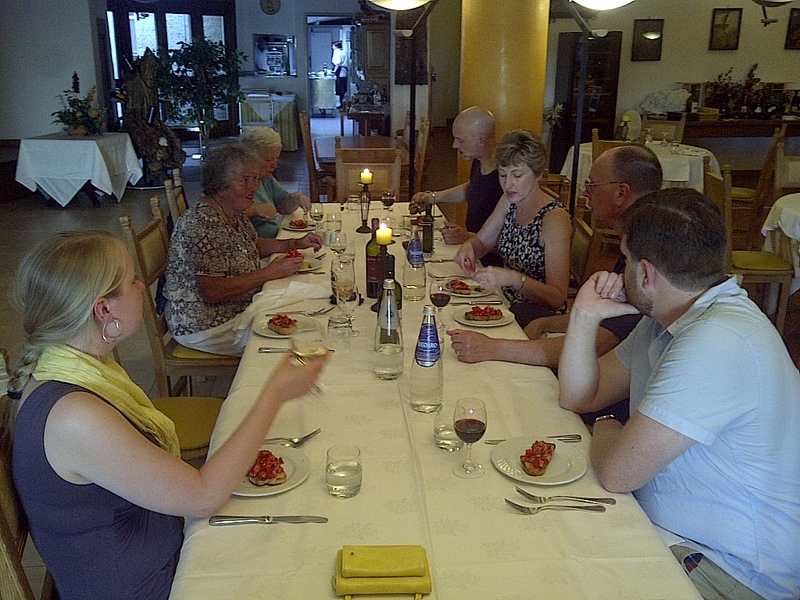 Our first dinner in Italy at the restaurant of the Villa Nencini, our hotel. A great way to end an first adventurous day. Volterra, in the center of Tuscany, in central west Italy. June 21, 2013. On the TUSCANY tour.